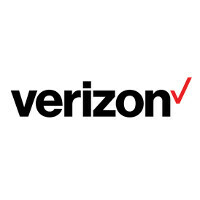 Verizon Wireless added 1.3 million new postpaid subscribers during the third quarter. Postpaid subscribers, the most valuable kind, now total 105.8 million, up 4.9% in the quarter. Revenues were up 5.4% to $23 billion. While service revenue was down 4.1% to $17.6 billion, equipment revenue rose 72% to $4.3 billion, as Verizon customers used installment plans to purchase the latest handsets. In fact, 5.6 million phones were activated last quarter using installment plans. Overall, Verizon has 110.8 million retail connections. The carrier is doing away with subsidized equipment purchases that are linked to two-year contracts. Currently, 30% of Verizon's postpaid customers are on an unsubsidized service plan. That number should rise every year. Looking ahead to next year, Verizon is warning investors that 2016 earnings might be stuck at 2015 levels. One of the reasons for the stall in earnings has to do with the changes being made to Verizon's wireless operations. Eventually, more of Big Red's subscribers will be weaned off subsidized handsets and two-year contracts, which will help Verizon pad its bottom line to much higher levels. I doubt Verizon will be stuck at 2015 levels in 2016, people go for Verizon regardless their cost. People going for Verizon is like going for iPhones. You just can't beat their coverage despite their high data prices and bills. I don't know... as much as people whine and complain about their prices, stories like this make me wish VZW would raise the price a little. I work pretty hard to keep my VZW bill as low as possible ($104/mo for 10GB/2 smartphones). I review moving my lines to another carrier about every 6 months, and in 3 years haven't found a justifiable savings to switch. Yet those greedy fuks still felt the need to up my bill $20 b/c I'm on unlimited data plan.